An award accented in bold red that is sure to bring an extra element of style to your event! 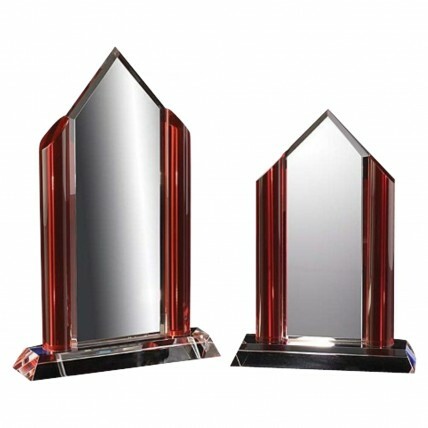 This Ruby Aim Crystal Recognition Award features an arrow of clear crystal flanked with oval columns of red crystal. 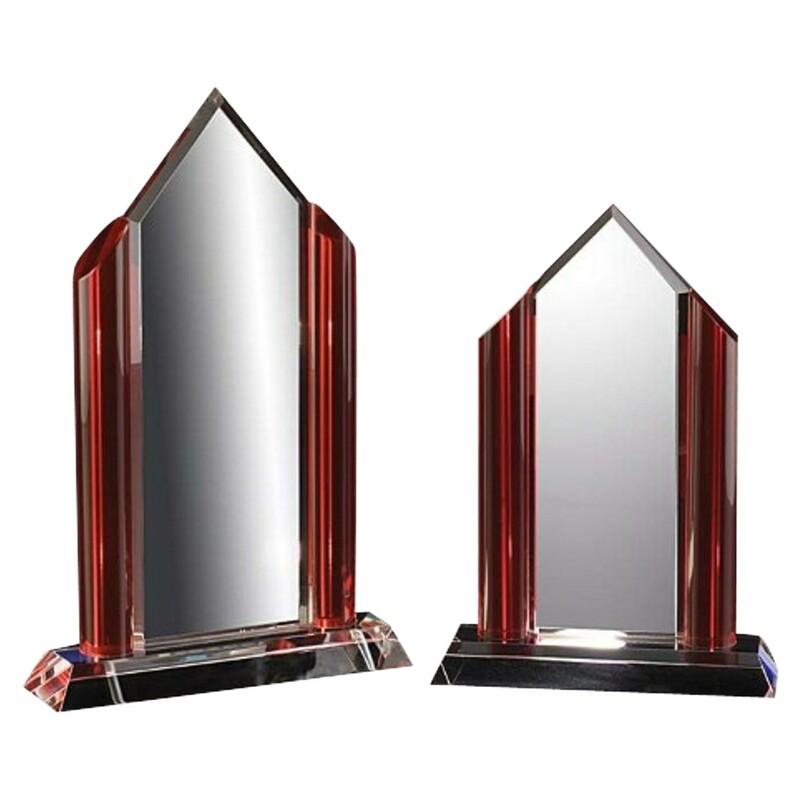 Your free and personalized etching has plenty of space to shine on this simple shaped award. Production time for this product is 5 business day(s); expected pickup or shipping date is 04-29-2019.